Achieving the full potential of this high-demand, high-repeat cash or cash equivalent business requires a barber shop franchise model free of guesswork. We don’t leave anything to chance. We strive on excellent customer service. It takes exceptional, consistent customer service to create a growing and loyal clientele. Utilizing over 30 years of hair care entrepreneurial experience, RAZZLEDAZZLE’s Founder, Elena Linares developed a unique approach to delivering the professionalism and excellent quality through a business that our customers expect – all in a relaxing environment with affordable prices. The RAZZLEDAZZLE™ barber shop franchise offers precision haircuts, as well as a full range of barbershop services, including, but not limited to: straight edge shaves, beard and hair coloring, mini massages (scalp, neck, shoulders, foot and hands), waxing (eyebrows, nose and ears), pedicures, manicures, shoe shines and shoe drop-off, to name a few. Consumers are more value-conscious than ever. The RAZZLEDAZZLE pricing system allows men to receive excellent personal grooming care and pampering at a reasonable price. Our memberships and specials are designed to make visits to our shops stress-free, affordable and fun, thus creating opportunities for word-of-mouth referrals and a loyal, growing customer base. As a franchisee, you'll benefit from a plethora of potential revenue streams. This creates a stable foundation for multifaceted sales growth. Haircuts: The core of our barber service offerings are made up of three haircut options: The Master Haircut, The RAZZLEDAZZLE Haircut, The Basic Haircut, and The Little Rascals Haircut. Barbershop Services: We offer a full range of services that include: Beard trimming and coloring, straight razor and hot lather shaves, manicures and pedicures, shampoo and conditioning treatments, waxing services, neck and shoulder massages and hot towel treatment. Hair Products: We offer a wide range of great home-care-grooming products – Paul Mitchell, It's a 10, Nioxin, American Crew, Rolda, Moroccan Oil, Suavecito, Men’s Dept., Art of Shaving, Clubman, J Slone, and Shavex Shaving. Additionally, special events revenue streams might include: pre-bachelor parties, wedding parties, graduations, proms, or other social events of all sorts. Customers prefer a shop they can depend on to meet their needs, provide great service, and count on excellent customer care. For franchisees, our brand offers all three. A great customer experience can mean a larger customer base and therefore help provide a more constant, predictable cash flow. The RAZZLEDAZZLE barber shop franchise combines the simple infrastructure of a classic barbershop with the operational prowess of the RAZZLEDAZZLE team and its founder, an entrepreneurial visionary with over 30 years of experience and a proven track record. We help our franchisees plan for and foster growth, monitor quality, and increase sales at every opportunity throughout the business process. RAZZLEDAZZLE barbershops can be managed by experienced full-time managers; they do not require constant franchisee presence. This makes it easier to keep your present job, as you establish your first barbershop. Additionally, this makes the process easier to open new locations.  Professional Staff: RAZZLEDAZZLE barbershops are staffed by professional barbers and stylists with vocational education and certified training from RAZZLEDAZZLE educators. Our staff is also supported by highly trained, capable administrative and management teams that are able to utilize their talents to ensure our clients receive excellent customer service. Expected Tempo: We offer a unique concept and operational system that allows franchisees to serve more clients per day. This operational system also makes training, quality control, assessments, and improvement much simpler to facilitate. Regular Hours: We operate during regular business and retail hours, thus allowing franchisees and their teams to maintain a constant, comfortable lifestyle. Establishing close partnerships with your local community and local corporations: for profits, non-profits, sports facilities, educational facilities, etc. Implementing strategic and long-term marketing campaigns. Leveraging income potential by executing company strategies and growth campaigns. Empowering team members by promoting capable personnel. Working with RAZZLEDAZZLE to assist you in the growth of your business. Providing a long-term vision and accountability process for greater operational sustainability. We carefully designed our systematic, benchmarked approach to customer care in order to fully support each franchisee’s growth, regardless of the initial size of the RAZZLEDAZZLE BARBER SHOP franchise operation.